Bojana Nikolic graduated from Faculty of Fine Arts, University of Arts in Belgrade. 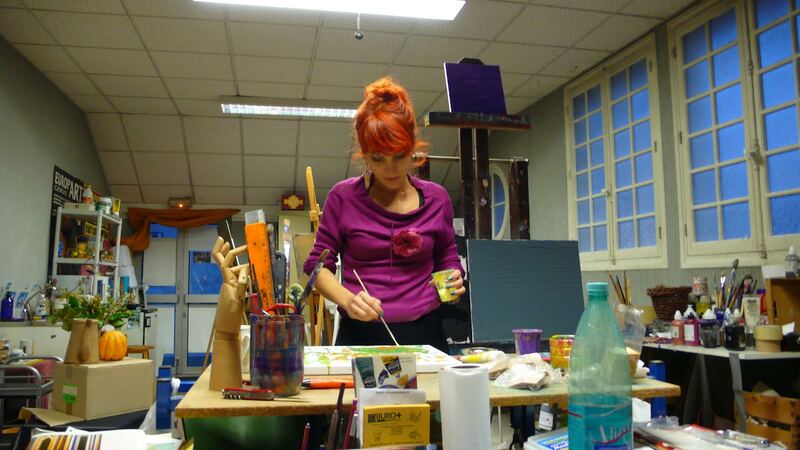 She finished PhD studies of Painting on the same Faculty in 2011. She worked at Académie des Beaux-Arts Sainte Radegonde, Tours, France. Now, she teaches at College of Professional Studies for Pre-school Teachers in Pirot. In 2005, she was awarded from The Faculty for painting Rista i Beta Vukanovic. Reward of the jury for the best movie in category of mini-movie, Festival of short film, Gornji Milanovac, 2011. Member of ULUS (Association of fine artists of Serbia) since 2006.